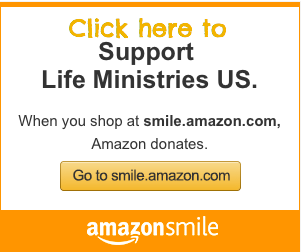 Albuquerque, NM- Life Ministries U.S. is proud to announce the debut of the second “Vote Pro-Life” billboard design featured in Albuquerque, New Mexico. 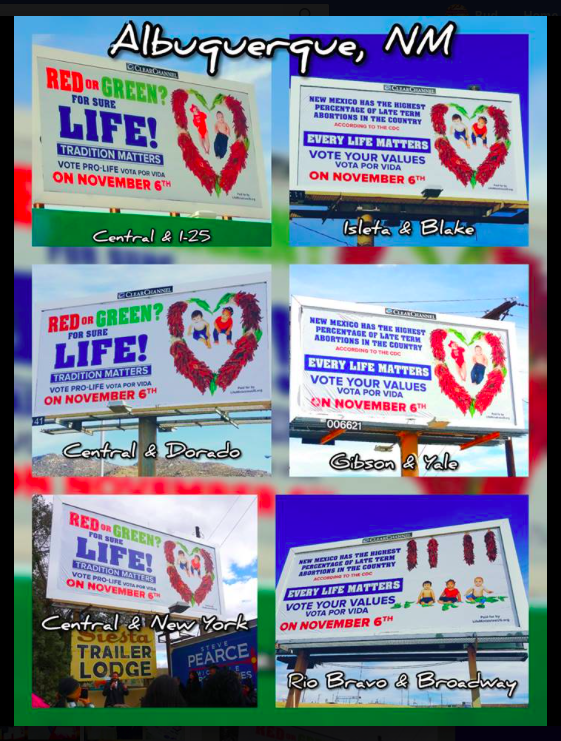 Five new billboards just went up all across Albuquerque bringing the total to SIX pro-life billboards with a “Vote Pro-Life”/ “Vote Your Values” message in the last two weeks leading up to the election on November 6th. The new billboard features local babies, a shocking statistic from the Center of Disease Control (CDC) and a New Mexican theme that will resonate with voters. “The voters of New Mexico have the chance to change the direction of our state on November 6th. Unrestricted abortion up to the day of birth has cast a darkness over this state, but our votes matter and can save babies lives and restore New Mexico’s reputation. According to a report by the Center for Disease Control (CDC) in 2014, New Mexico leads the nation in the number of late term abortions by percentage of total abortions performed. In other words, late term abortions represent 7.9% of all abortions performed in New Mexico. In comparison according to the CDC report, New York performs the most abortions but only 2.3% of those abortions are late term. Our prayer is that this billboard penetrates hearts and impresses upon those who see it to vote their values on November 6th. We thank everyone who has contributed to this project and made it possible,” stated Tara Shaver.